Volunteers at NVVM are our most important resource. The National Standards for Volunteer Involvement 2015 is our benchmark. 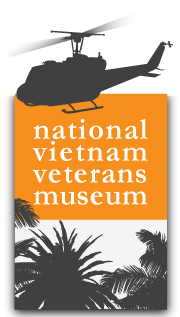 As NVVM develops as an independent, sustainable Museum, we will continue to rely heavily on the dedication, time and skills of Volunteers to help the Museum achieve its new mission: To seek to remember, relate and understand the experience of the veterans of the Vietnam War and the enduring impact of the war on society. 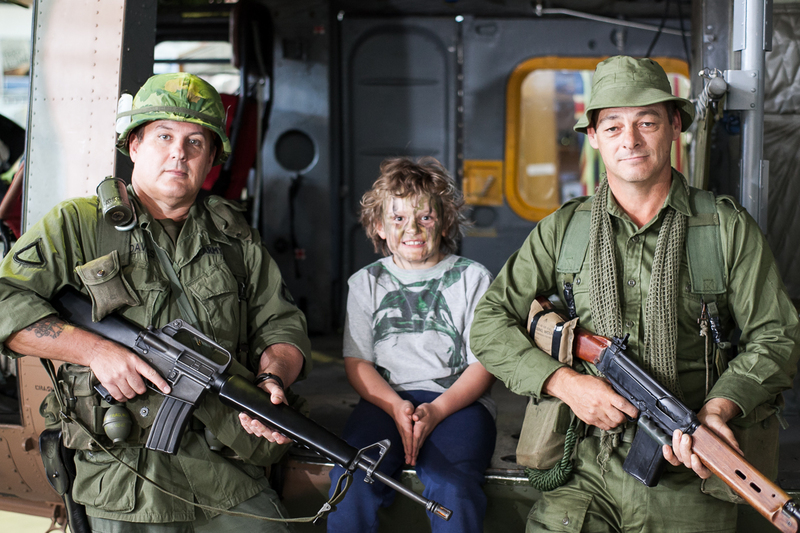 Some of our Volunteers are Vietnam veterans or have served or have links to the military, but that’s not essential. Most of all, our Volunteers are simply enthusiastic about supporting NVVM’s mission. All of our Volunteers bring something with them – a friendly and positive attitude, useful and practical skills, and a willingness to give us a day or two of their time each week (and sometimes more). Whether a retiree or a student, or someone who has some spare time, and no matter what the background, NVVM needs Volunteers of all types and backgrounds. You may be a former engineer or fund raiser, or a personal assistant or a teacher, or love gardening, or are a handyman or electrician, a painter or a sales clerk – we can find a spot for you. Being a Volunteer is a rewarding experience, but we also ask for a commitment of time which can be depended on, no matter how much time you might be able to give. Fill out the online application form after you have read Volunteer Info documents (see below). An interview with the Volunteer Coordinator will follow to assess your interests and suitability for a role in the Museum. Once accepted, Volunteers receive appropriate training relevant to their work. Training periods will vary and will be worked out in conjunction with your allocated Volunteer Coordinator. Training could include lectures and workshops relevant to the particular jobs, as well as on-the-job training by the Museum experts. Volunteers should be at least 17 years of age and enjoy communicating with others. NVVM seeks Volunteers with something to offer the Museum, such as a trade, multimedia skills, project management or clerical aptitudes – and computer literacy is a must in most functions. However, Volunteers come from all walks of life and once a Volunteer at NVVM, all are equal. 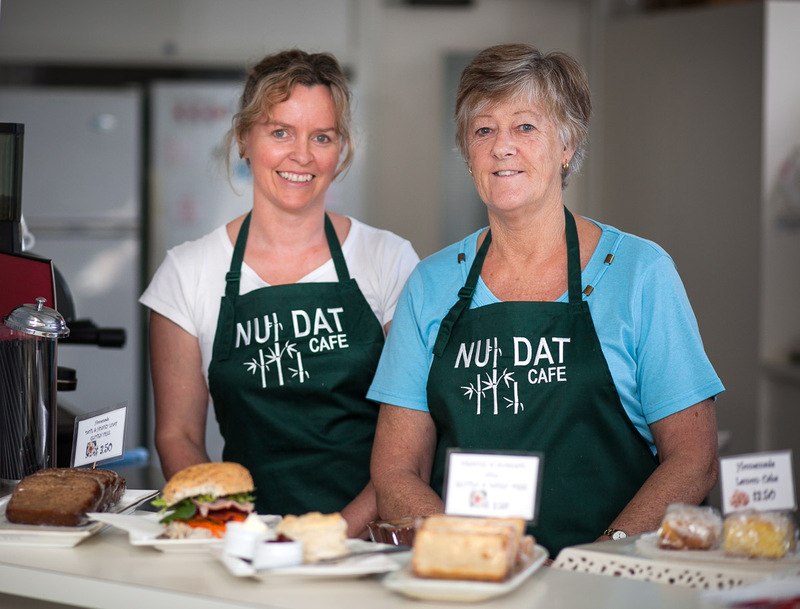 All Volunteers receive invitations to attend NVVM events and receive a discount in the Museum Shop and Nui Dat Cafe. 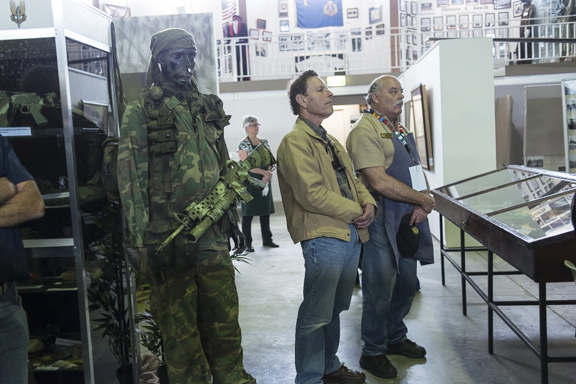 In addition, as the Museum develops special events and activities, Volunteers are able to attend either FOC or at a heavily discounted rate. Professional Guide Association fees, if applicable, are paid by the Museum. As part of our new Volunteer program, we anticipate being able to provide updated NVVM uniforms and work clothes to all Volunteers as each Volunteer function is developed. In addition we will hold functions during the year just for our Volunteers, such as previews of Exhibitions, and social functions. Receipt of applications whether general or in response to an advertisement is not a guarantee of acceptance as an NVVM Volunteer. All volunteers are required to hold a Working with Children card and are subject to a Police check. The museum will facilitate these and pay any associated costs.